Which one is right for me? One inch plugs, 3×3 inch super plugs for sod? 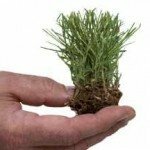 In the long run planting living zoysia is always more successful than planting zoysia from seed. 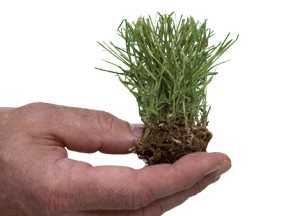 Now you have options on which size living plant to use, 1 inch, 3×3 inch super plugs or sod. What is the difference between these? The difference lies in the time, effort, money and how soon you want a full zoysia lawn. 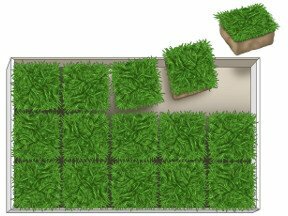 The same Amazoy zoysia grass is used in all of these methods. One inch plugs are the most cost efficient way to go and best for larger areas. With these plugs you do have to finish separating the plugs which adds an additional step when planting. 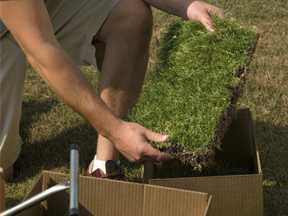 Planting one inch plugs takes more time and longer for your lawn to fill in when planted 12 inches apart. The Super Plug, the three by three inch plug, is a better way to plant, however it is not as economical as the smaller plugs. The 3 inch x 3 inch plugs cut down on the time and effort in planting the plugs. The Super Plugs come already cut into 3 inch x 3 inch squares. All you have to do is take them out of the tray and place them right in the hole you have made, fill in around the roots, step on the plug and water. 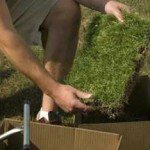 Sod is great for an instant lawn, however it can be expensive to cover your lawn in sod. 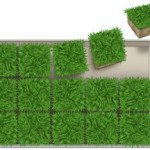 You would also need a completely clear soil bed to lay the sod. No matter which way you decide to plant your zoysia lawn, all will provide a beautiful, full, thick carpet of Amazoy zoysia grass for decades to come.